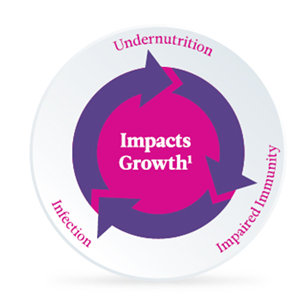 Adequate nutrition is one of the important factor influencing growth & immunity. A balanced diet must contain sufficient amount of carbohydrate, protein, fat, vitamins, minerals and fibre in the required amounts. Each of these nutrients has a vital role in the all-round growth and development of children1. It may surprise you to know that between 70-80% of your immune cells are located in the digestive system. A balanced diet helps fuel the immune system by providing necessary nutrients so the digestive system can function properly. Probiotics which are good bacteria & Pre-biotics which are food for good bacteria are known to support gut health & immunity3,4. Furness, John B., Wolfgang A. A. Kunze, and Nadine Clerc. Nutrient Tasting and Signaling Mechanisms in the Gut. II. The intestine as a sensory organ: neural, endocrine, and immune responses. Am. J. Physiol. 277 (Gastrointest. Liver Physiol. 40): G922–G928, 1999. The body gets the calories it needs for energy from 3 nutrients – carbohydrates, protein, and fat4. Carbohydrates calories are the simplest form of readily available energy. As long as there is not an excess of carbohydrate foods, this energy is burned as fuel and is not converted into fat. Sources of complex carbohydrates such as whole grains and fresh fruits and vegetables with the skin left on provide fiber that the body digests more slowly and therefore are the best choices for kids and adults5. Protein-rich foods are broken down into amino acids that are used by the muscles for growth. Unsaturated fats (also called healthy fats) are a necessary part of a healthy diet. When protein, carbohydrates, and fat are consumed together, digestion is slowed and energy is provided over a longer period of time2,4,5. 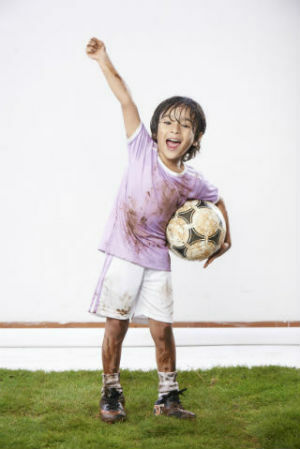 Pediasure contain a scientifically-balanced blend of these 3 macro nutrients meeting AMDR guidelines ( Acceptable Macro nutrient distribution range given by Institute of Medicine ,US) providing energy to help your kids be physically active6. Good nutrition is important for cognitive development. Emerging science shows that many nutrients are needed for healthy brain function. Essential fatty acids - ALA ( Alpha linoleic acid) & LA ( Linoleic Acid) are known to support brain development. Iron is an integral part of haemoglobin which supplies oxygen for the brain to function. Choline helps in formation of neuro transmitter. Iodine helps in cognitive development1-3. Providing your child with a balanced and varied diet, including many different nutrients such as ALA,LA,Iron,Choline,Iodine can help give them a healthy start as their brain continues to develop2. Since the body does not produce enough ALA , which is an essential fatty acid kids need to consume it in the diet to meet the body’s needs. We can get ALA from foods such as walnut, flaxseed,soyabean,chikpeas4. Basch CE. Breakfast and the achievement gap among urban minority youth. J Sch Health. 2011;81(10):635-640. It happens to everyone once in a while: you missed breakfast or skipped lunch and in a few hours you are feeling it. You may be distracted by hunger, unable to concentrate, or even feeling grouchy. Kids may experience the same symptoms from skipping meals, and it can affect their behaviour. 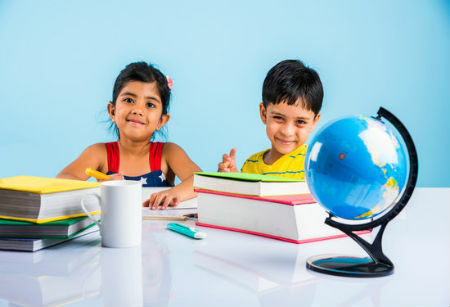 In fact, school breakfast programs have been proven to have a positive impact on classroom performance and behaviour, particularly for kids who are not getting the nutrition they need.1 Certain children that are significantly below normal height and weight may experience Failure to Thrive, a condition with common symptoms including delayed mental and social, as well as physical, skills1,2. One way to help your child choose healthy foods is to eat healthy, regular meals yourself. Kids will want to mimic what they see you do. Having a well-balanced diet and eating regular meals can help prevent that distracted, grumpy feeling and provide kids with a strong start to their day3.PediaSure can help provide kids with nutrition during snack time, on days when parents are crunched for time or the day hasn’t gone as planned. Kleinman RE, Hall S, Green H, et al. Diet, breakfast, and academic performance in children. Ann Nutr Metab. 2002;46(0 1):24-30. doi:66399. Scholler I, Nittur S. Understanding failure to thrive. Paediatr Child Health (Oxford). 2012;22(10):438-442. doi:10.1016/j.paed.2012.02.007. Rampersaud GC, Pereira MA, Girard BL, Adams J, Metzl JD. Breakfast habits, nutritional status, body weight, and academic performance in children and adolescents. J Am Diet Assoc. 2005;105(5):743-760. doi:10.1016/j.jada.2005.02.007. In today’s world of fast food and overall poor eating habits, kids can develop a negative relationship with food early in life. However, parents have more influence over their kids’ attitudes toward food than they may realize. It’s common for parents to try to make sure their children are getting the nutrients they need by requiring a ‘clean plate’ at the end of a meal, or forcing kids to eat things they don’t like. While this is often done with good intentions, it can lead to the child having negative feelings about mealtime and healthy foods. A responsive feeding approach has been shown to be much more effective in terms of healthy nutrient intake1. By following the cues of a child to indicate hunger and fullness, parents can avoid mealtime turning into a fight. Children decide whether and how much to eat from what is offered. The key is for parents to offer a variety of foods with a scheduled meal and snack pattern full of the nutrients kids need. One of the best things you can do to improve the emotional health of your children concerning nutrition is to instil positive attitudes about food. It has been proven that parents have a definite influence on their kids’ relationship with food later in life,2,3 but modeling the behavior we want for our children is not always easy. Adults have their own habits and attitudes toward food that can impact their children. You can set a positive example for kids at mealtime by serving nutrient-rich foods, allowing kids to make decisions about what they eat (and even if they eat), and eating normal-sized portions of food yourself4. Branen L, Fletcher J. Comparison of college students’ current eating habits and recollections of their childhood food practices. J Nutr Educ. 1999;31:304-310. Emerging science shows a link between nutrition and academic performance. Recent reviews of school breakfast programs in the United States confirm the benefits of breakfast for classroom performance, school attendance, and behavior, especially for children who may be food insecure1. A report in 2012 concluded that 95% of teachers asked had observed that eating breakfast at school had improved kids’ ability to concentrate2,3. Providing a well-balanced breakfast with many different nutrients can help give your child a strong start to the school day4. Not only can a good breakfast help them stay focused in school, but also may lead to improved academic performance1,5,6. You can make PediaSure a part of a healthy nutritious breakfast.